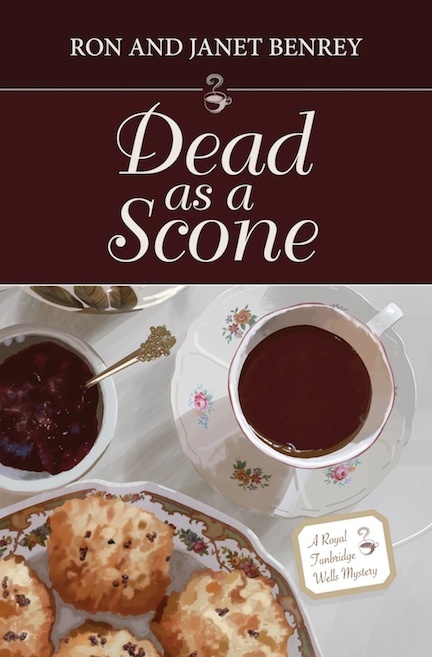 BOOK GIVEAWAY: RON WILL BE GIVING A COPY OF DEAD AS A SCONE AND THE FINAL CRUMPET TO A LUCKY COMMENTER AT THE END OF THE BLOG TOUR ON DECEMBER 9, 2011. Ron Benrey writes cozy mysteries with his wife Janet. Ron has been a writer forever—initially on magazines (his first real job was Electronics Editor at Popular Science Magazine), then in corporations (he wrote speeches for senior executives), and then as a novelist. Over the years, Ron has also authored ten non-fiction books, including the recently published “Know Your Rights—a Survival Guide for Non-Lawyers” (published by Sterling). 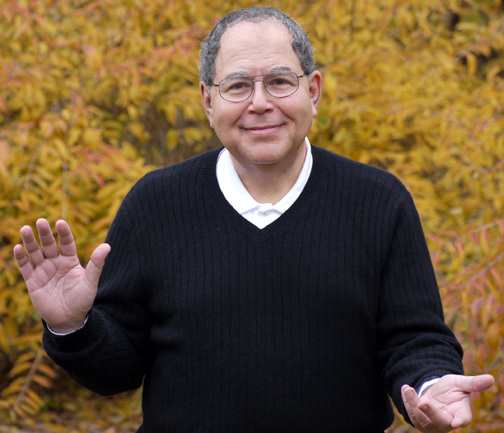 Ron holds a bachelor’s degree in electrical engineering from the Massachusetts Institute of Technology, a master’s degree in management from Rensselaer Polytechnic Institute, and a juris doctor from the Duquesne University School of Law. He is a member of the Bar of the Commonwealth of Pennsylvania. When a contemporary author sits down to write a mystery novel, he or she becomes part of a proud tradition that stretches back more than 150 years. Surprisingly, the basic idea hasn’t changed in a century and a half: a mystery novel depicts a detective—either a professional or an amateur sleuth—solving a crime. The enduring longevity of mystery novels attracts hordes of new novelists each year—authors who like to read mysteries and want to write them. When I say “longevity,” I mean it. Mystery novels fifty, sixty, even a hundred year old—classics written by Agatha Christie, Rex Stout, Raymond Chandler, Arthur Conan Doyle, and other masters of the craft—are sold in bookstores today, and are routinely purchased by current fans. I can’t think of another fiction genre where new authors must compete with so many writers buried decades ago. Another important aspect of mystery fiction’s durability is that the tens of thousands of mysteries published during the past century-and-a half have created specific expectations among readers that today’s writers must meet. Many of these genre conventions go back to the pioneering 19th century mysteries written by Edgar Allan Poe, Wilkie Collins, and Conan Doyle. Although it sounds like a cliché, the fundamental uncertainty at the heart of every mystery novel remains Who done it? Many successful novels raise other questions. How done it? Why done it? Will the villain be punished or get away? Will the hero survive the final denouement? Will the heroine achieve her other goals? The importance of providing a compelling puzzle prompts some mystery authors to say “plot is everything” in good mystery fiction. I won’t go that far, because successful mystery novels have introduced a galaxy of unforgettable characters—from Sherlock Holmes to Miss Marple, from Nero Wolfe to Spenser. Nonetheless, while readers savour fascinating protagonists, the chief reason they read mystery fiction is to enjoy stories that present fascinating puzzles. For many years, mysteries were called “murder mysteries.” In time, “murder” became a redundant word, because the overwhelming majority of mystery novels involve a murder or two. The fear of being punished for committing a murder gives the villain the strongest possible motivation to oppose the hero or heroine. The determined antagonist will create significant problems for the protagonist to overcome—and often land the sleuth in deadly peril. 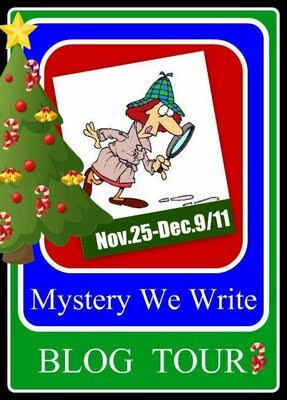 Readers anticipate that the protagonist of a mystery novel will eventually solve the puzzle and name who done it, typically in the closing chapter. Everything must come together at the end, but in a way that makes sense given the clues (and other information) available to the protagonist and the reader. It’s not playing fair to pull the killer out of a hat, so to speak. Good dialog is important in every fiction genre, but mystery novels place an especially thorny requirement on dialogue: A fictional sleuth does most of his or her investigating by talking to other characters. Consequently, dialogue often communicates the lion’s share of essential information about the crime and the clues to readers. This shines a strong spotlight on the cleverness—the sparkle—of dialog. Murder is afoot is the sedate English town of Royal Tunbridge Wells… and the crime may be brewing in a tea pot! Nigel Owen is having a rotten year. Downsized from a cushy management job at an insurance company in London, he is forced to accept a temporary post as managing director of the Royal Tunbridge Wells Tea Museum. Alas, he regrets living in a small town in Kent, he prefers drinking coffee (with a vengeance), and he roundly dislikes Flick Adams, PhD, an American scientist recently named the museum’s curator. All good points, Ron. I liked the phrase "sparkling dialogue." Will probably pop in my head every time I write dialogue now! Excellent post, as always, Ron. And I agree with Sandy. This is an excellent analysis of mystery fiction, Ron, possibly the best I've ever seen. I copied and saved it, so you're now in my reference library. Playing fair is one of the most difficult to do from a writer's point of view, yet such a necessary component of a mystery. Great post, Ron!